The Lake Baringo Basin is a place the vast majority of people have not heard of, and neither would I if it were not for the Tugen Hills, just west of the lake, famous for their hominin remains. If I had to describe it in a few words, I would say it is an area where the goats are plentiful and Prosopis juliflora is abundant. 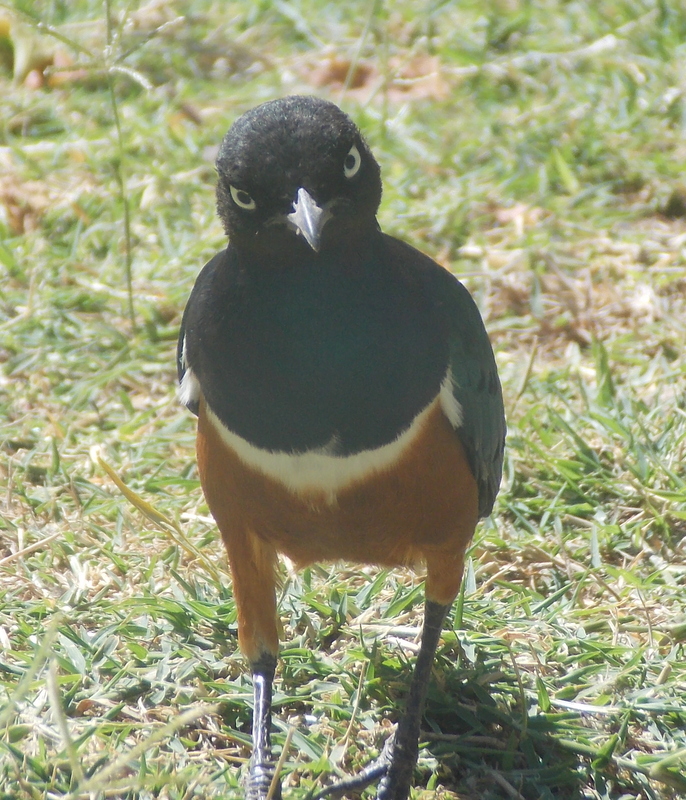 However, the Lake Baringo region has a lot more going for it than just that. Allow me to describe a unique landscape as experienced through my eyes. I visited the area from the 8th to the 14th of March 2014. Before going, I tried to accumulate as much knowledge as possible about the Baringo region, but most of what I got to know came from academic papers and the recent conference on Baringo I attended in Cologne. I hence knew a lot about the socio-ecological problems of the area and the environmental conditions of the past 200 years, but could hardly imagine what the area actually looks like. I arrived at the end of the dry season and people were expecting the rains any day. It was very hot and, due to the geology of the area, very dusty. The Baringo Basin is suffering from heavy erosion, and the constant winds and heavy rains (during the rainy seasons) quickly transport the sandy silt sediment towards the bottom of the basin. To curb the erosion, the Barigno Fuelwood Afforestation introduced the plant Prosopis juliflora in 1983. Since then the plant became highly invasive and is now taking over the area to the south and west of the lake. It is so invasive that it can be easily distinguished on satellite imagery as the green area around the lake. P. juliflora has two other accomplices, which are taking over the land. One is the prickly pear cactus (Opuntia), which people are planting to fence their plot of land, only for the plant to start growing uncontrollably. The other is Dodonea viscosa, which is spreading like wildfire to the north of the lake. As if the plants are not causing enough problems, the lake level has increased by 5 meters in the past year. While this might not sound like a lot, it transgressed its previous borders by 500m displacing a number of people. Nevertheless, the Lake Baringo Basin can entrap the observer. The first thing I noticed, which made this dusty area different from the rest of Kenya, was the diversity of birds and their enchanting colours. No wonder the lake is so regularly visited by ornithologists. As soon as I arrived I took out my camera and started taking endless pictures. No matter how much I tried, though, the birds looked like they were conspiring to kill me, apart from the kingfishers. Lake Baringo also hosts crocodiles, which did not stop the local children from bathing, and I could hear the hippos grazing and marking their territory (which involves spraying dung everywhere) close to my tent in the middle of the night. I also managed to spot a variety of insects and arachnids. The undisputed ruler of the animal kingdom there, however, is the goat. 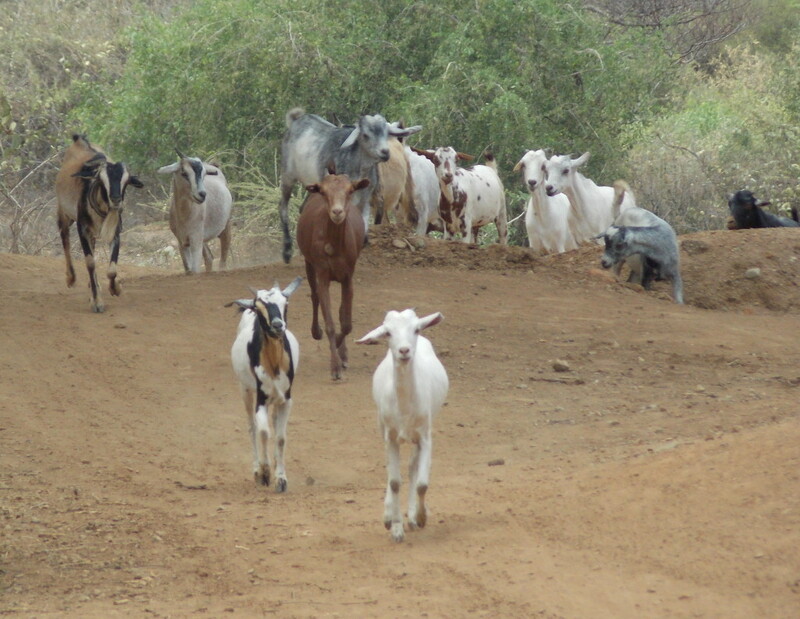 Most people own goats and most of them appear to be roaming freely. So I thoroughly enjoyed my mornings and evenings listening to bird songs and seeing what can at first appear to be a lifeless landscape teeming with all sorts of animals. My plan for the week in Baringo was to do a small scale exploratory survey, to see if there is any potential for archaeological work or not. The high erosion rate of the area might have compromised and deflated pastoralist archaeological sites, on which I want to work on. Pastoralist sites, compared to multi-period occupation sites, leave a small imprint on the landscape and its stratigraphy. 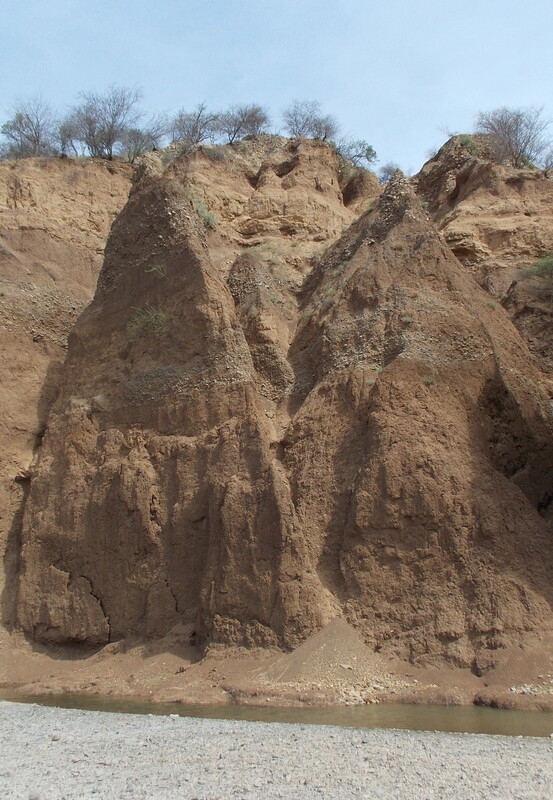 Hence erosion rates as seen in the Baringo area could have destroyed any intact archaeological sites left. Kipkeu, from the British Institute in Eastern Africa, and I set out to assess in what status the area is and to find any signs of archaeological sites. We managed to survey on foot the Perkerra Irrigation scheme, the area of Ngenyn on the Endau river, Emening, Logumukum, and Kiserian. What we found was quite astonishing. We found 40 obsidian scatters, 17 remains of a boma, and 8 pottery scatters. Some of the obsidian scatters were very small and not all obsidian scatters appeared to contain worked obsidian. A number of scatters also contained a mixture of obsidian stone tools and pebbles of obsidian with too many impurities to be worked. Thankfully, the majority of scatters contained evidence of stone tool working and I even found beautiful bladelets and arrow points. 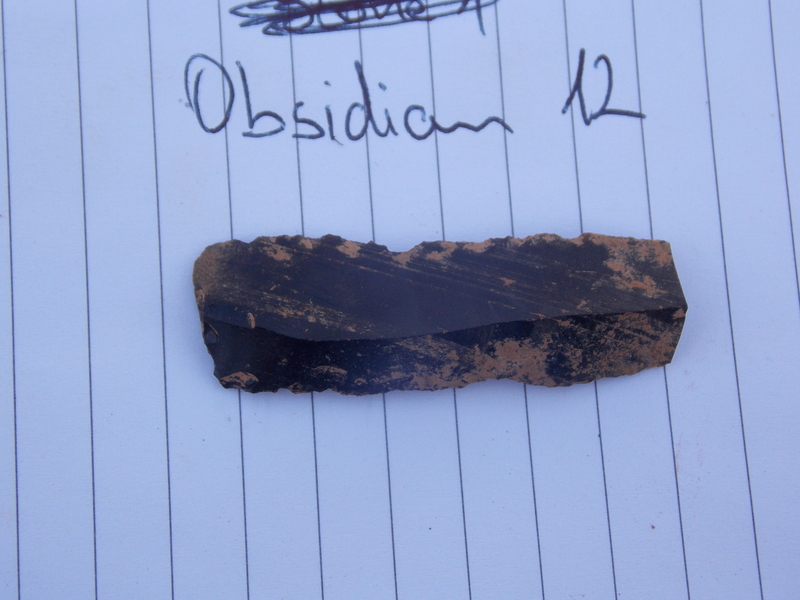 Interestingly, the remains of the walls of one of the bomas in the Kiserian area also contained worked obsidian. This means they probably dug into an archaeological site to extract the sediment for the walls, incorporating the archaeological remains within the structure. 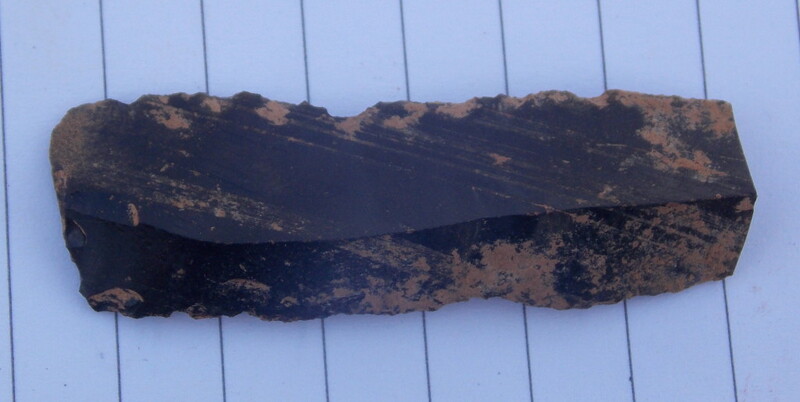 The high amount of obsidian found throughout the Baringo basin indicates that humans were probably omnipresent in the landscape and were also entangled with it. The pottery scatters Kip and I found were mostly modern, as I saw the same type of pottery still in use in the villages and also at Robert’s camp, where we were staying. 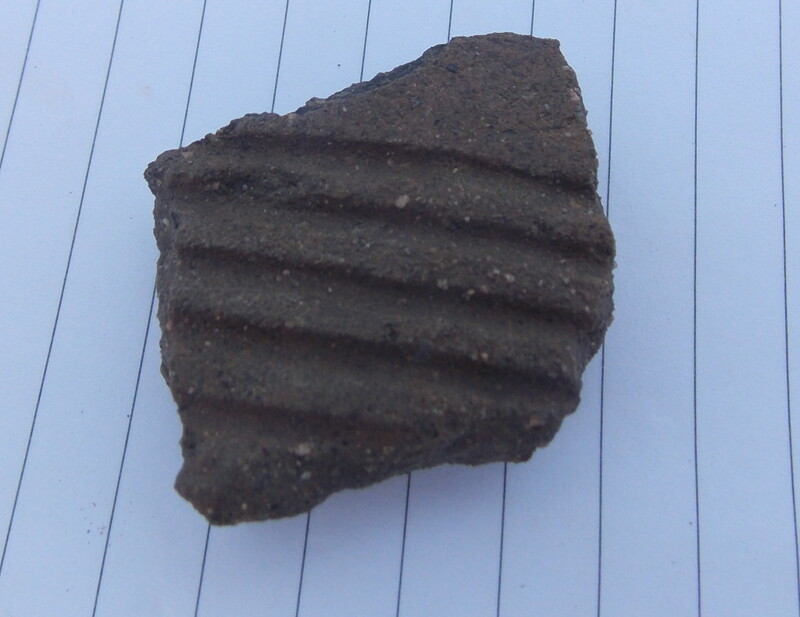 There were some scatters of pottery in Kiserian and the Ol Kokwa Island, which differed from the modern ones found in the Emening and Logumukum area. I also hypothesise that the bomas that were visible in the landscapes and the associated cattle and goat pens were recent. Some of them, particularly in the Kiserian area, had associated modern material in the wall debris. Moreover, the high erosion rate could quickly erode the mounds created from boma debris and dung accumulation. Overall, the short trip was very successful. During 5 days of survey Kip and I managed to find more evidence of archaeology than we hoped for, and we saw that it is still possible to undertake archaeological research in the area. I decided that for my ongoing research I will forus on the Kiserian and Logumukum area, south and southeast of the lake. Kiserian and Logumukum have a rich archaeological record, which needs to be recorded swiftly before it all erodes into the lake. I also had the time to formulate my ideas about surveying the area when I come back in September 2014, using GIS, remote sensing, a quad-copter and shovel test pits. I am really happy to be working in such an amazing area, where people have been so helpful and where the archaeology is almost completely unexplored.